Les Dennis has undergone countless ordeals in his 40 year career as an actor but his lead role in the musical The Addams Family has meant a whole new look – he's gone bald. 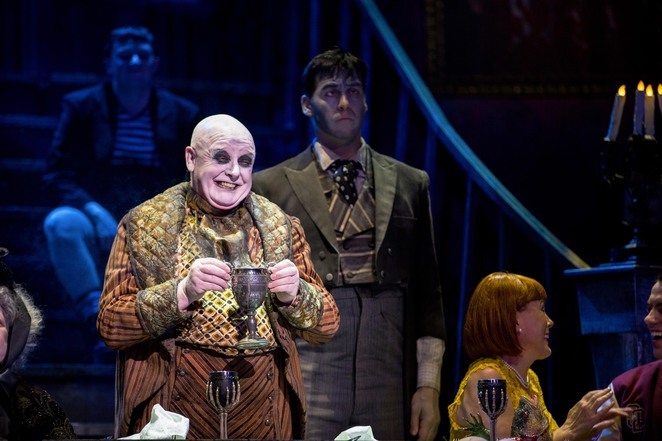 The 63-year-old is playing Uncle Fester in the show which comes to Birmingham Hippodrome on June 6-10 and the part meant he had to choose between a head cap or the razor. He says: "Fester has no hair and when we first talked about that for the show I said I would go with a bald cap because my kids wouldn't want me to be bald for six months. Then I tried it in rehearsals and I started thinking that I'd have to put a full cap on eight times a week and with the glue and everything it would be worse than being bald. So I said to Matt (director Matthew White) I was going to shave it - but he told me to check with my wife and kids first.I called my wife Claire (Les' third wife, life coach Claire Nicholson) and she said 'yes, do it, but do it for a charity'. We were going to a Butterfly Ball that weekend in Manchester so it seemed appropriate to do it for Breast Cancer Now. Then I suggested that I go onto the television show Loose Women and do it on that show and they were well up for it. So they brought in Nicky Clarke to do it." Celebrity hairdresser Nicky was more than happy to wield the razor so millions of viewers watched Les lose his locks – a piece of film which is still viewable on YouTube. Les admits it was initially quite strange: "When I came home with no hair my kids just laughed. Tom, my little one, just kissed my head and thought it was funny. At first I was going round with a hat on and thinking I felt a bit embarrassed about it but I don't care now. In fact it's quite liberating. But I do keep checking that it's growing back!" Shaving his head is now a daily task for Les and it will be for the next few months as The Addams Family is currently scheduled to tour the UK and Ireland until November. The Addams Family was first penned by cartoonist Charles Addams in the 1930s as a satire on the idealised American family. In the cartoons, the family members were not given names but when the characters were adapted for a hit television series they became parents Gomez and Morticia, children Pugsley and Wednesday, Uncle Fester, Grandmama, Cousin Itt, butler Lurch and Thing – a disembodied hand. The television series has been followed by one-off specials and films, including the 1991 Hollywood adaptation with Raúl Juliá, Angelica Huston, Christina Ricci and Christopher Lloyd in the Fester role. Then came the musical. First staged on New York's Broadway in 2010 with Nathan Lane and Bebe Neuwirth, The Addams Family was a huge success and picked up a handful of awards. 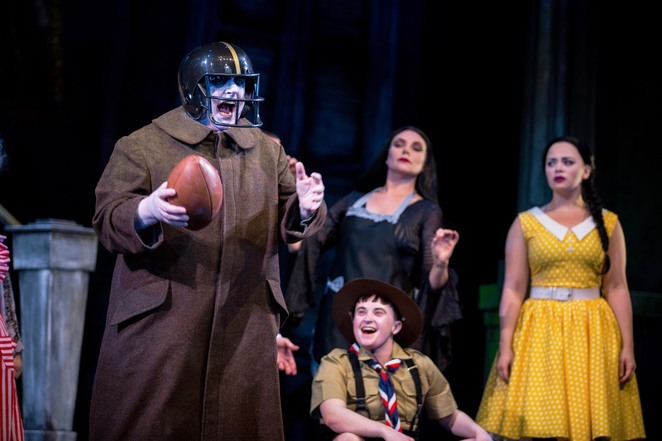 Now on a UK tour, the cast also includes Samantha Womack as Morticia, Cameron Blakely as her husband Gomez and Carrie Hope Fletcher as daughter Wednesday. For Les, who has spent much of the last three years playing former convict Michael Rodwell in Coronation Street ,the offer of the part of Fester came at just the right moment. He says: "My agent called me and I said yes straight away. I knew the musical was anticipated here because it had been a big hit on Broadway. But then it didn't come over here and there was puzzlement over that and I knew people were going 'when is Addams coming over here?' 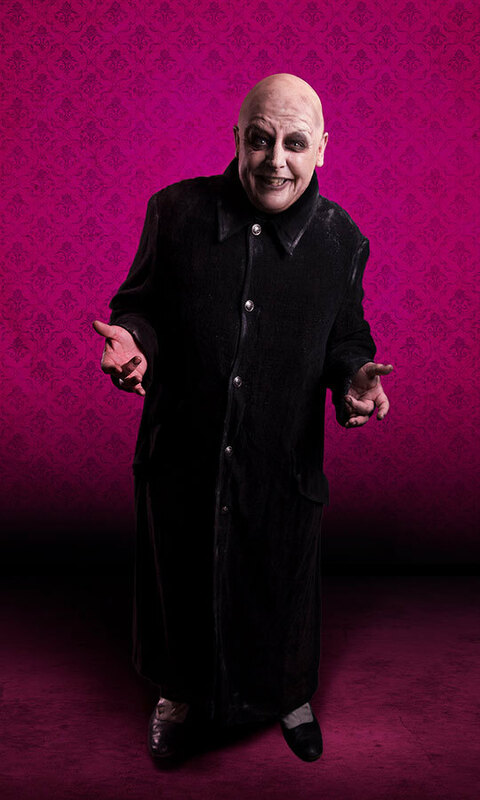 so I knew there would be a buzz about it – and I knew that Fester was a part I would love to play." With a show business career including Chicago and Hairspray, Midsomer Murders and Hotel Babylon and TV comedy Extras and Celebrity Masterchef, Les long ago became a household name. He says: "I don't really know how I've managed to keep my career going so well for so long. I think it's that I always double bluff and surprise. I went from Family Fortunes to David Hare's play Skylight and to then going and playing Ivan in Yasmina Reza's Art – I've always gone for the thing that is most challenging. I suppose I keep re-inventing and you have to do that in this career or you just stagnate. When The Addams Family came along I had just done two and a half years in Corrie which was great to do but even then I still came out for theatre trips. I did Alan Bleasdale's Down the Dock Road in Liverpool and that was my first time producing. I always will make sure that even if I'm doing television I always want to come out and do other things." And there are still plenty of parts for Les, who first found fame as an impressionist and stand-up comedian on the television talent show New Faces, to tackle. He's just not sure which will be next: "You never know what is going to be offered," he says. "I could go back to my room now and find an email from my agent asking me about anything. I would consider anything.I haven't done any Shakespeare yet and I'd love to do that. To do something at the Royal Shakespeare Theatre would be lovely. It would probably be the comic roles like the Fool in Lear or Feste in Twelfth Night although Malvolio in Twelfth Night would also be a good part to play. I'm coming up to the age for King Lear but I think I should start slowly with a comic role."